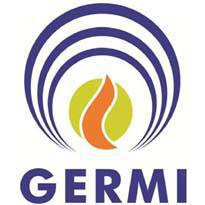 Gujarat Energy Research and Management Institute (GERMI) Gandhinagar Published Recruitment Advertisement for Project Officer Posts. View More Information like Total Posts, Posts Name, Qualification, Experience, Salary, How to Apply are Given Below. Experience & Skills Required : (1) Minimum 5 years of Solar or Power Industry (2) Candidates having Prior Experience in Consultancy in Solar Industry or having Experience in Consultancy Firms Like - PWC, KPMG etc. shall be Preferred.